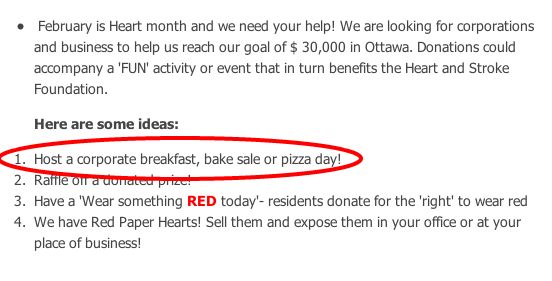 Want more proof the Heart and Stroke Foundation is nutritionally challenged and way too cozy and comfortable with the food industry? Received an email this past weekend that detailed their 2012 Ottawa Fall Events. 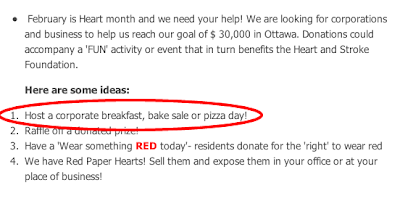 In it they pointed out that February was Heart Month and that "FUN" events could help raise funds. Topping off their 4 suggestion long list of "FUN" events? If You Ever See This Product Endorsement - RUN! Want to See Kellogg's Latest Cereal Marketing BS? Have You Ever Watched Honest Trailers? What's In the Average Vending Machine Snack? What's Your Best Worst Choice?